As soon as Peter and I were engaged, the first thing I started to research was wedding dresses. We all wonder what we look like, but definitely want to look our best on our wedding day! After a year of being married to Peter and hosting our wedding, I was given the opportunity to coordinate my friends’ wedding for this upcoming summer - they’ve asked me to do something similar to mine, since they also wanted to reduce waste and make their wedding more sustainable. So I thought I’d share this journey by compiling a guide of various sustainable wedding dress options that I had considered before, plus a few more! Check the video above for more visuals (description box on YouTube has links for the dresses shown), otherwise read on below for seven options for a more sustainable wedding dress. *These principles can also be applied for your wedding shoes, and formal wear for those special events every year, because how many times have we all purchased a fancy outfit, only to wear it once or twice? 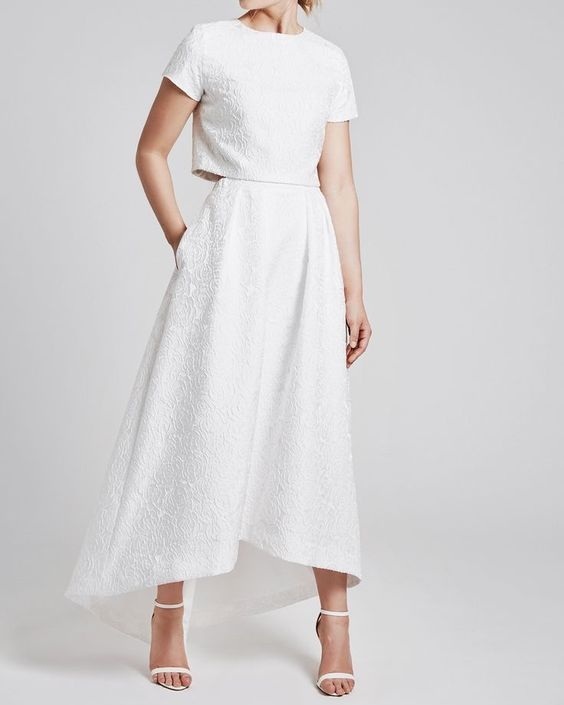 Any chance your friend or sibling just got married and have a dress they no longer need? If you don’t want to look exactly the same as the person you’re borrowing from, considering getting a separate bridal piece such as a topper to make the look different. This works great on strapless dresses, but below are some pieces for inspiration. There’s a good chance you won’t be wearing your wedding dress more than once. This is the most ideal option if you want to approach your wedding minimally, and avoid the clutter. You may be able to find a local boutique that rents out wedding dresses, but here are a few online options I’ve found. Consider the following brands for sustainable wedding dress options if you’re looking to buy new. Are you an expert at sewing or have a family member or friend that is? Consider making your own, and sourcing some sustainable fabrics to make your wedding dress (cotton, linen, silk are some great options). Find some inspiration from people like With Wendy, one of my favorite YouTubers. She’s made her own wedding dress, and you can also get inspired by her various videos below. 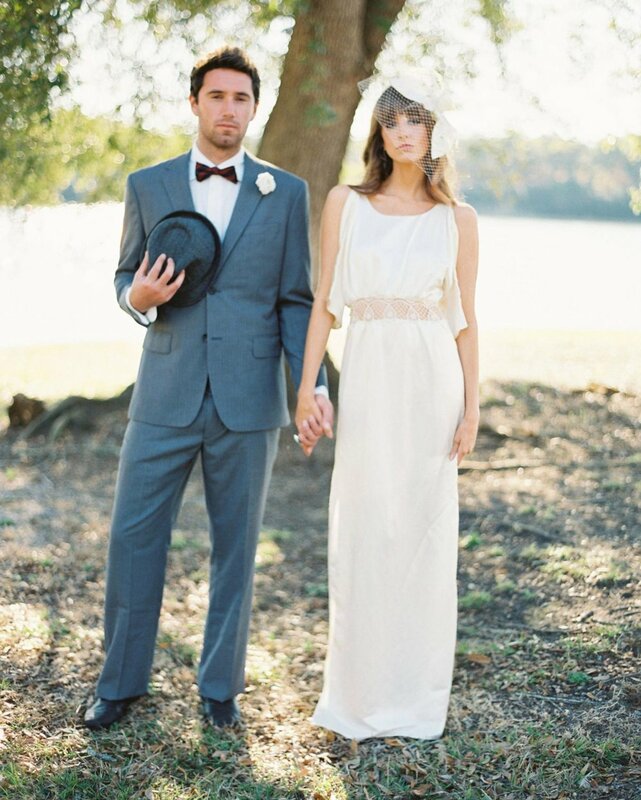 Consider remaking your wedding dress so it can be used for everyday wear. You could also consider getting separate bridal pieces to be put together as your outfit for your special day, but then can be reused for everyday wear for more normal occasions. If you want that wedding dress off your hands, I would opt for more traditional, timeless styles that can be worn again. The ‘Buy used’ section of this guide not only lists places you can buy used wedding dresses, but you can also sell on those sites too. If you have a dress from decades ago, you can also try to sell it at a local vintage shop - there may still be brides out there that want to go for a vintage look, and will alter the dress to have a more modern feel!